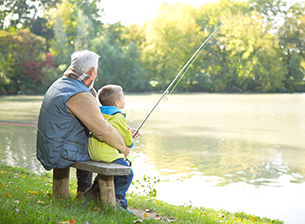 Keeping busy after retirement can become a challenge for many seniors. Faced with ample time and no structured schedule, leaves them without a sense of purpose and soon, boredom sets in. However, life after retirement can be comfortable, fun and interesting. A second career, travel, volunteering; now is the time to fulfill the wish list that you have put on the back burner all these years. You can fill your day with a mix of activities that stimulate and satisfy you. Moreover, you can do things at your own pace. 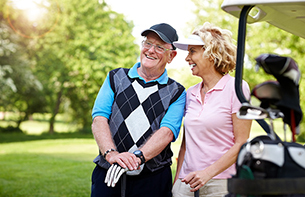 The experienced activity planners at The Holiday retirement communities share a few ideas to help you enjoy your golden years to the fullest. Join a gym: You will keep active and make new friends too. Research shows that exercising and being socially-engaged can add years to your life. Exercising in a group is also more stimulating and fun than being on your own. Even a walk around the neighborhood with friends can do wonders for your physical and mental health. Pursue your hobbies: Love to paint or sew? Always wanted to learn ballroom dancing? It is time to catch up with all the things you love to do. From golfing to fishing and growing your own vegetable garden; you can do whatever you enjoy. Maybe even try something more challenging, like learning a new language or taking up a second career. Many colleges and universities offer discounts for seniors. There is no reason to stop because you have retired. Travel: We all have a wish list of places we want to visit. Whether it is spending time with the kids and grandchildren living in a different state or experiencing a different culture, you can now spend as much time as you want, traveling to new and familiar places. Volunteer: Getting involved in the community provides a sense of purpose and fulfillment. Find an organization or cause that is close to your heart. The local food bank, library, seniors center, hospital, nursing home—there are plenty of opportunities to give back to the community. You can also use your professional skills (like accounting, computing or teaching) to help others learn, including seniors. Games: From poker to bingo and board games, seniors love a little bit of friendly competition. It stimulates the brain and is a great way to socialize as well. Get together with friends and enjoy some table games. Consider babysitting: It can help bring in some extra cash and help local families that are looking for affordable daycare services. At The Holiday retirement communities, a wide range of planned programs and activities help our seniors live an active and fulfilled life. Our personalized care and high quality services include well-appointed accommodations with nutritious and delicious meals, entertainment and outdoor excursions. We want you to feel like you are on a permanent holiday. You or your elderly loved one can retire in style in the company of friends while maintaining independence and privacy.